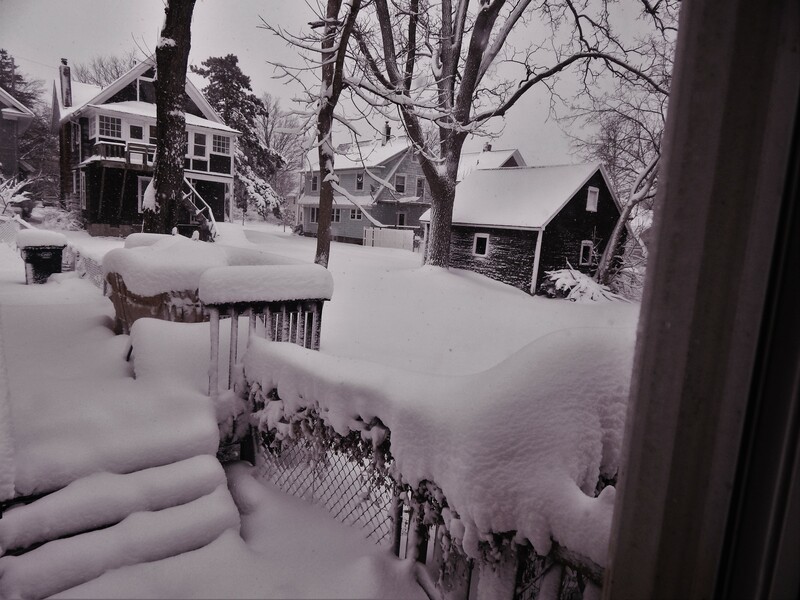 Yesterday and into this morning it snowed….it snowed a lot. 15 inches of wet heavy snow. While I was shoveling snow I put a quilt in the wash. 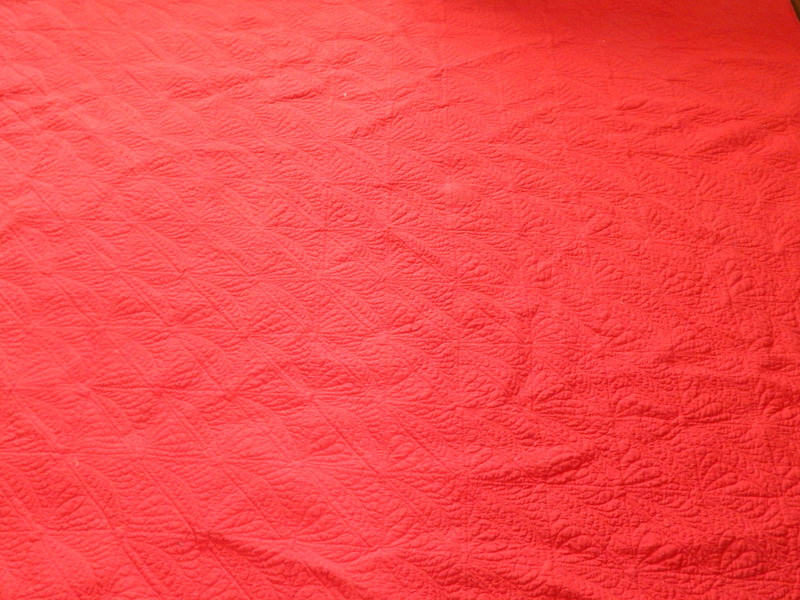 I finished the quilting last night. 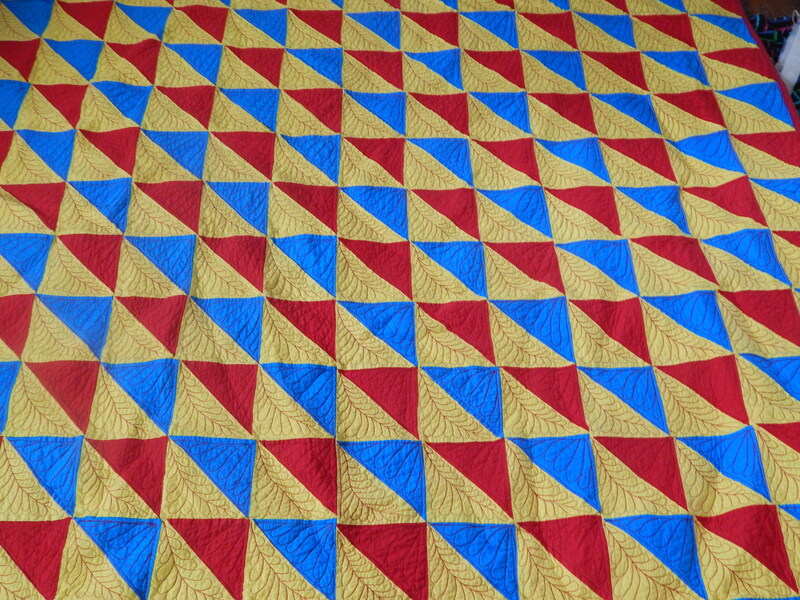 I did the majority of the quilting on the treadle machine. I still find that one easiest to control the speed and stitch length on. After I finished it and put it on the floor Teddy inspected it. It passed his inspection so this morning I did the binding. Here it is after washing. It finished at 68″ by 76″ after washing and drying. 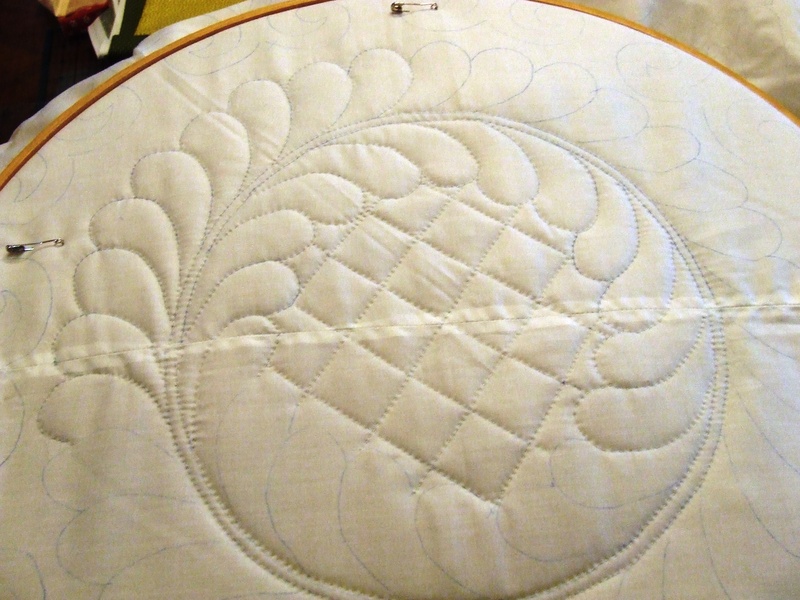 This entry was posted in Quilts and tagged Quilting, Quilts, Snow. Awesome quilt!! And to think you did the quilting on a treadle machine….makes me want to get my old Franklin treadle machine running!! Cannot wait to see what you will be working on next!! By the way, that was a lot of snow! 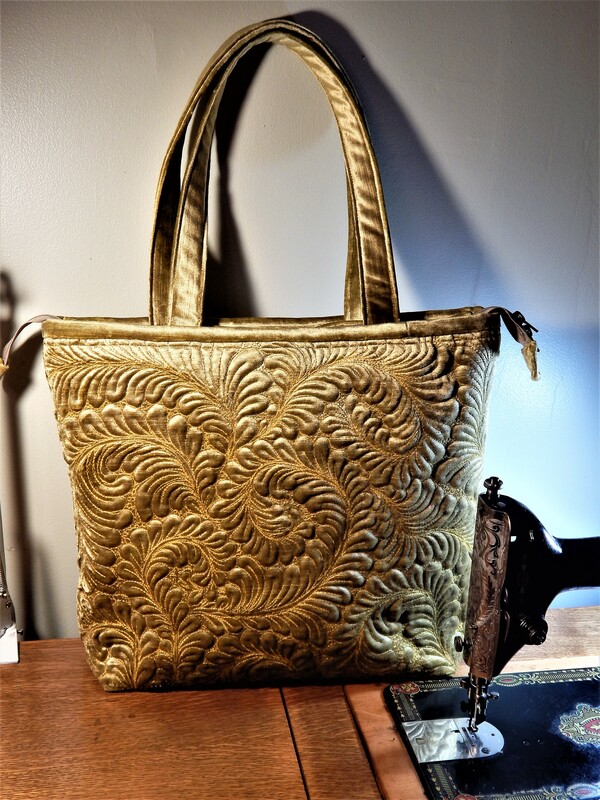 Thanks….I am sort of in love with treadling……it is so fun! 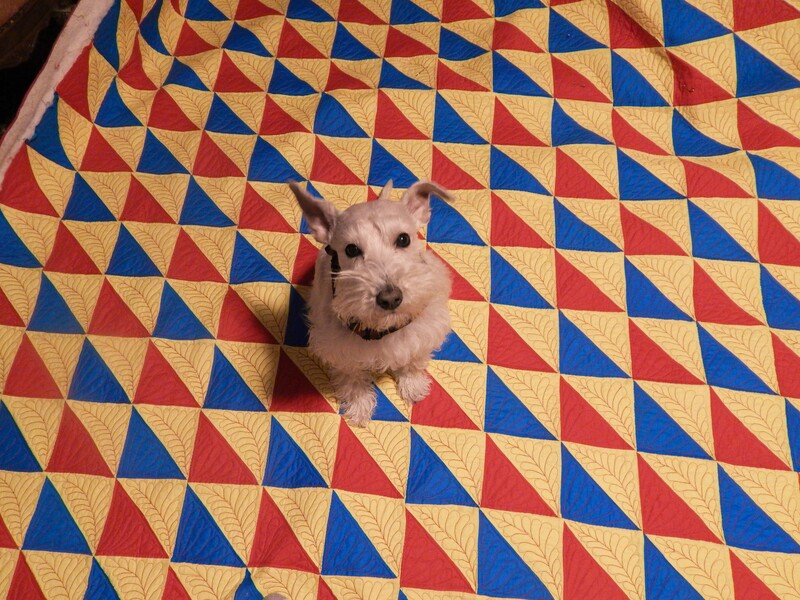 Your quilt is beautiful, and it looks like Teddy agrees. 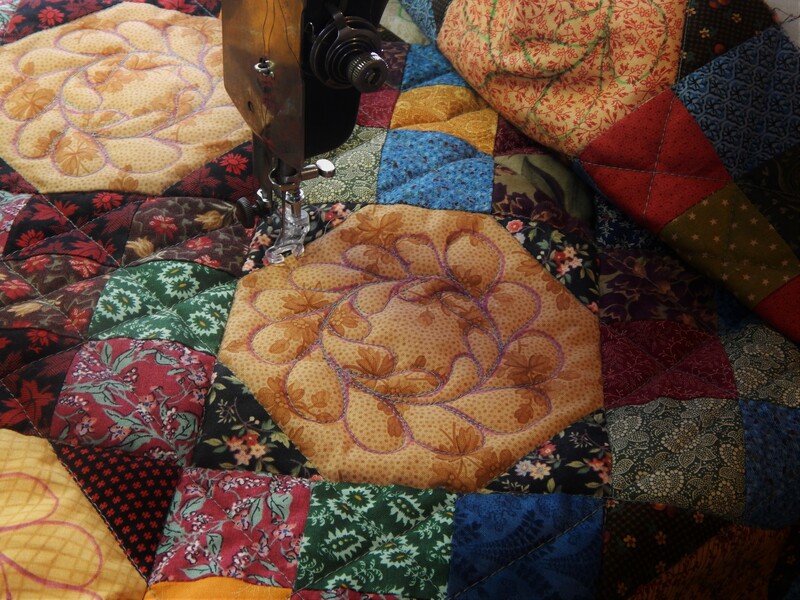 What other machine did you use for the quilting besides your treadle? I hope your back is recovering from all that shoveling! Just say no to more winter! Beautiful quilting! I just can’t imagine living with that much snow…from Melbourne, Down Under. I love the back!! I think I’d have to take turns on which side to use as the “right side”. The snow looks beautiful but I remember well it’s not always fun. 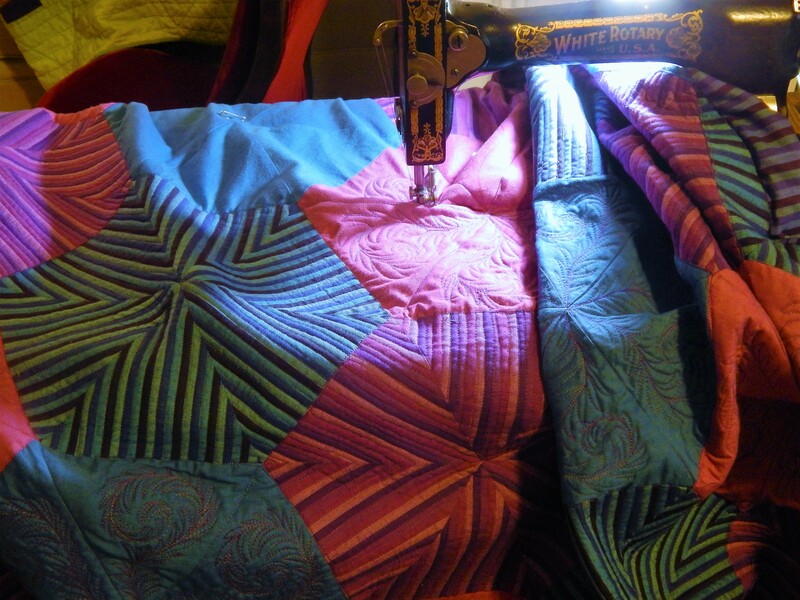 I am so impressed at your ability to learn machine quilting so quickly, and the quilt looks wonderful with the red thread and the feathers. 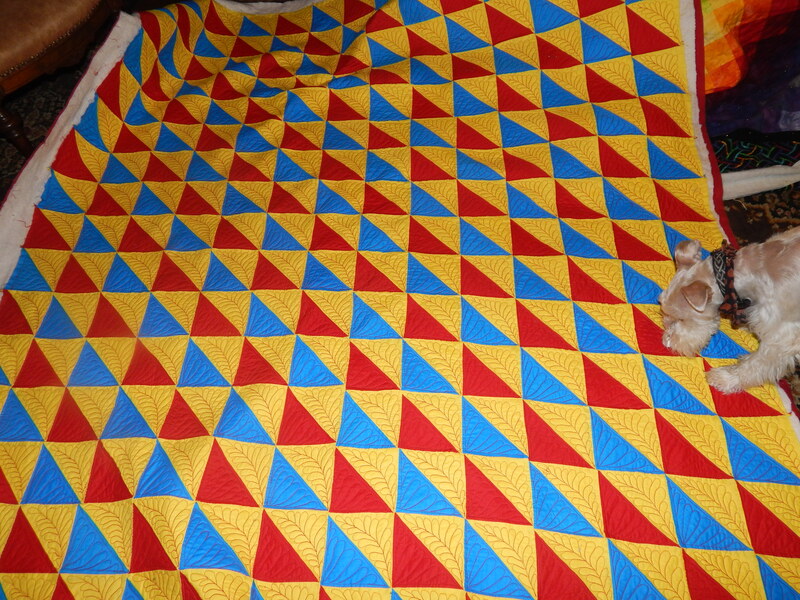 I love this – your quilting is amazing! I’m glad my sons shovel the snow for me. Give Teddy a scratch behind the ear for me. Wow, I love the photo of snow. I can feel the hush… It rarely snows that much in England but when it does, you know before you’ve opened your curtains, because of the blue light creeping in and the complete absence of normal sounds. I really like this one! I love the look of new heavy snow but it sure is hard on the muscles! Your quilt is so beautiful !!! And the snow?! Glad I flew out Tuesday. OK Tim, I can’t machine quilt period. You are so talented. Also saw your rose quilt today at Daytona. It was beautiful. Enjoyed seeing it up close. Thanks…I wish I could have been there…..would be such a nice change from all this snow!